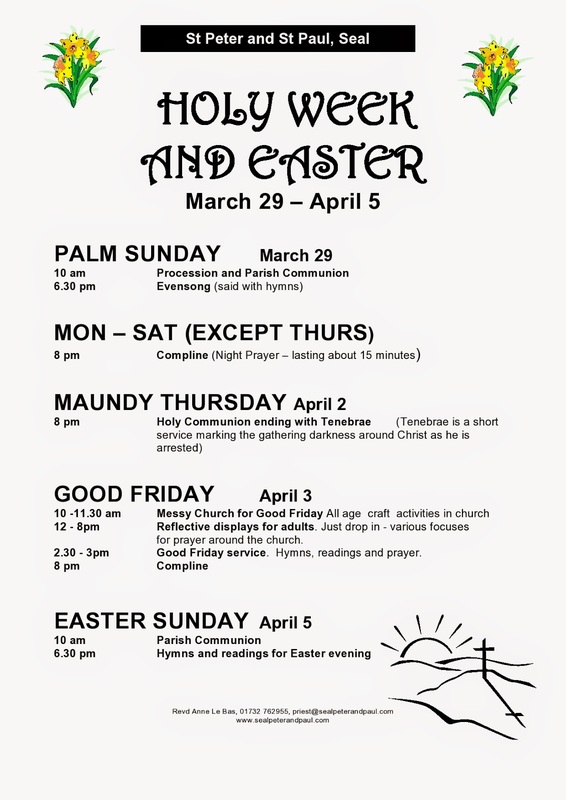 Holy Week is nearly upon us. Here are details of our services and activities during the week. There are times of quiet reflection like the service of Compline each night of the week, and the Good Friday afternoon service. There will also be, as usual, reflective displays around the church from 12 noon on Good Friday for you to ponder at your own pace. If you want a more active exploration of the story, you might enjoy our Messy Church on Good Friday morning. Everyone is welcome to this, and it is always popular - parents, grandparents and godparents enjoy it just as much as children. You don't have to come along with children at all in fact - single people are just as welcome if you feel like cutting, sticking and painting as we explore the story of Holy Week together. The culmination of the week is Easter Sunday, the celebration of the resurrection and the promise of new life it brings to all of us. In the morning we will light our new Paschal Candle, greeting the light of God that that defeats the darkness of death. 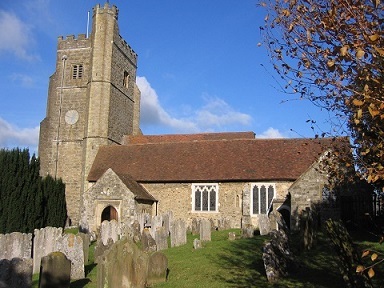 In the evening there will be a service of hymns, readings, prayers and music to listen to. Everyone is welcome at everything! We look forward to seeing you.